Rubber cables are typically produced in short lengths. It means frequent type changes, long downtime periods and raised costs. Not any more. 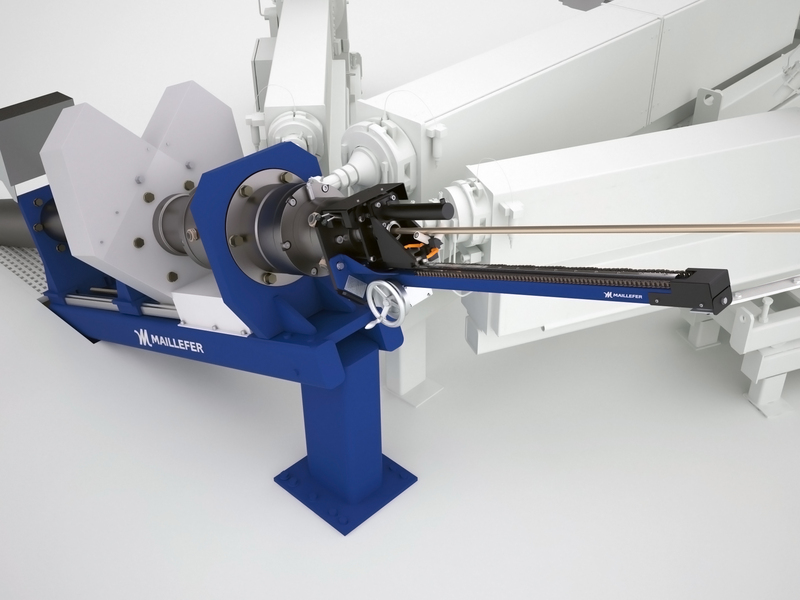 The well known Maillefer invention for XLPE cables, Continuous Type Change is now available also for rubber cables: several cable sizes can be produced without stopping the line. How to serve your important customers profitably in short production lengths? With our Continuous Type Change technology, change times are reduced from 2 - 3 hours to 2 - 3 minutes. 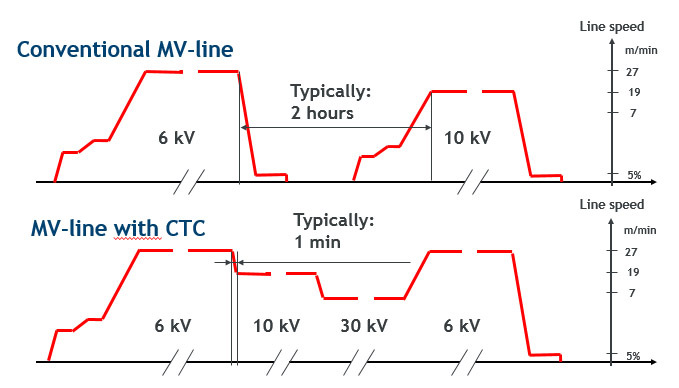 A good example of the CTC benefits is a medium voltage cable calculation. Based on an average of recent material price levels, type change costs without CTC can be up to EUR 3 500 per change and with CTC are only EUR 200. Thus for example, the monthly costs with three type changes per week without CTC can go up to EUR 42 000 compared to the very moderate costs of only EUR 2 400 with CTC. Our Continuous Type Change Value Package increases line availability and saves significant amounts of conductor and rubber material.